I need to replace this part but I have NO clue what it is called. It leaks coolant though. 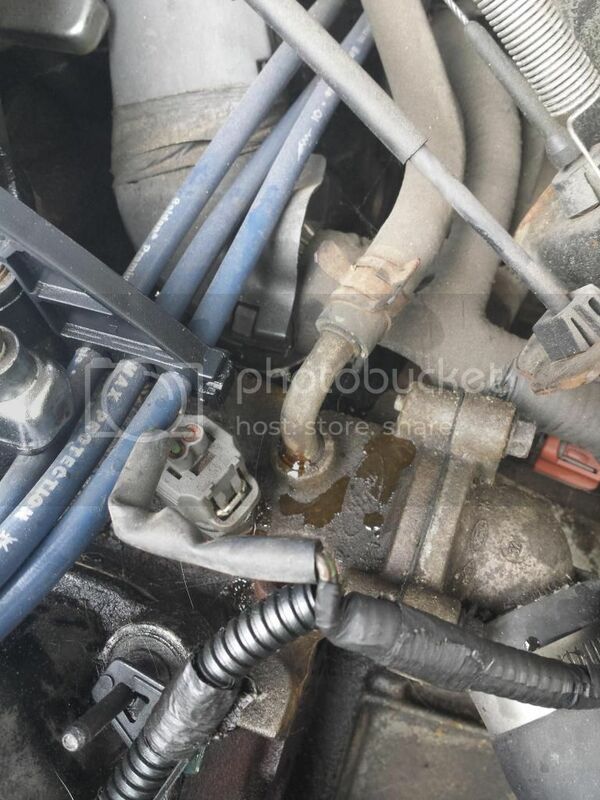 That is a coolant pipe that is actually part of the intake manifold. If it can't be repaireds in place somehow, the whole manifold will have to be replaced. Good, tell that someone to go get you one. That is not a thermostat bypass. It's most likely a coolant supply hose to the throttle body but since you never posted the year, make, model and engine size, i guess we'll never know. I can't make pics show in that format. Need to make them links and tell us exactly what this car and engine is for me to even guess. Hammer Time saw them, hit or miss with me. What an idiot! You don't think it would help to know what this is! Why bother then? Do not call me an idiot, im saying, telling this guy to give me the part wont help, considering he is another internet guy on a different site that I asked. I dont know the person personally or in real life. Looks like a OHV 3.0L in a Taurus or Sable. I'm not positive, but I think you can buy that pipe or connector. It is probably going to be a dealer part. Once you get it out you have to press the new one in. Also put some loctite around the end that gets pressed in to create a leak free seal. If we knew the exact year and model, probably could give you the part number for it. And it is leaking directly out of that pipe, there is a tiiny hole it was pouring out of, on that pipe, it also only did that when we started the car. Go to the dealer with your VIN number and tell them you need call out number 8N030 in their parts schematic.